Bright Fire is a hazy, dream pop album driven by carefully paced tempos, intricate harmonies and robust compositions. It is the long awaited debut from California natives The Honey Trees. For years now the duo has been making music on the West Coast but has only just recently compiled their work into a captivating and driving full-length. The album is full-bodied and complex; there is no sense of urgency but rather a decision to be intentional. Through layers of instrumentation and thoughtful lyricism, soft string notes float behind Becky Filip’s soft vocals and perfectly-timed percussion drives horn sections and bursts of synthetic keyboards. Many tracks amble gently, composed of layers of soft guitar plucks, tambourines and gradually building percussion while others feature deeply personal and minimalist moments. 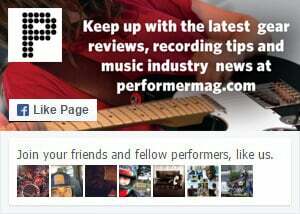 For more indie pop reviews by Performer Mag, click here. Bright Fire is the result of years of dedication and commitment to crafting meaningful and deliberate music. It demonstrates a deep understanding of composition and lyricism and willingness, perhaps even desire, to grow and evolve. The Honey Trees have spent years cultivating a prolific catalog of music that is moving and poignant, and Bright Fire is the fruit of their labor.